You can learn a lot from Yogi Berra. A master of the mystifying bon mot, Berra once said “If you come to a fork in the road, take it!” The story goes that when traveling to Yogi Berra’s house, you came to a fork in the road, but either path took you to his door. We are now at that proverbial fork in the road when it comes to the US patent system. But the two roads ahead are very different. On one road, legislation such as “THE INNOVATION ACT”, H.R.9 — 114th Congress (2015-2016) poses threats to our patent system. This type of legislation tries to alleviate concerns about litigation costs and frivolous lawsuits. The problem is that such concerns are based on inaccurate data and flawed economic analysis, as I have discussed in an earlier post. It’s just another phony “crisis” – and the proposed cure is much worse than the disease. This type of “reform” actually weakens the patent system. The problem is that Innovation Act ends up changing the legal system by creating new rules for pleading, discovery, disclosure of ownership, and fee shifting. These rules create unfair advantages for some big incumbent firms and penalize inventors, entrepreneurs and startup enterprises. Under this type of legislation, if you like your patent, you can keep your patent – you just won’t be able to assert it. Tilting the scales of justice against patent owners discourages patenting and jeopardizes the future of the U.S. patent system. Weakening patents harms income, employment, and economic growth by discouraging invention and innovation. I agree with these important findings. I have considered these questions in my study “How Patents Provide the Foundation of the Market for Inventions” published in The Journal of Competition Law & Economics. I show that patents increase transaction efficiencies and stimulate competition in the market for inventions by offering exclusion, transferability, disclosure, certification, standardization, and divisibility. Patents create a critical economic function that I call “the market for innovative control.” The market for innovative control provides incentives for efficient investment in invention, innovation, and complementary assets. I further demonstrate that because patents are intangible real assets, they are very important for the financing of invention and innovation. This finding is supported by research on IP and international trade. For example, my article in the Journal of International Economics demonstrates that the quality of innovation depends on the extent of the market. Patent protections allow inventors to reach a wider market, providing greater incentives to invent and improving the quality of inventions. The US benefits from greater international trade in technology, obtaining gains from trade as a major supplier of technology and also as a purchaser of technology. Trade in technology lowers prices of products, increases the volume of trade in goods and services, and increases innovation in the global economy. In my book The Innovative Entrepreneur, I emphasize the importance of entrepreneurs to the economy. Because entrepreneurs are individuals, they are free of some of the constraints that come with operating a large existing business. They can be creative without the limits of corporate bureaucracy. They do not have to worry about displacing their existing business when they embrace or develop new technologies. That is why individuals can be innovative in ways that incumbent firms sometimes choose not to pursue. This is how innovative entrepreneurs are able to establish new types of firms, transform existing industries, and create new industries. Innovative entrepreneurs also help to provide the competitive stimulus that drives incumbent firms to innovate. By bringing new technologies to the market in the form of new firms, innovative entrepreneurs are important sources of employment and economic growth. 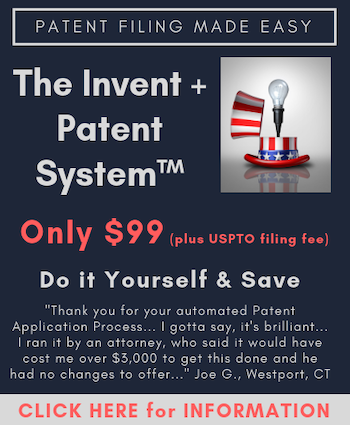 Patents are very important to the innovative entrepreneur and to small businesses generally. Patents help entrepreneurs to deter infringement, which helps them to develop, commercialize and use their inventions. Patents are often valuable to entrepreneurs in obtaining financing. Patents also are highly useful to innovative entrepreneurs because the technologies that are protected by patents can be a source of competitive advantage, often critical to the survival of new entrants. The important study by Stuart J.H. Graham, Robert P. Merges, Pam Samuelson, and Ted Sichelman shows how patents perform these highly useful functions. The STRONG Act further points out that “the Supreme Court recently issued rulings in Octane Fitness, LLC v. Icon Health & Fitness, Inc., 134 S.Ct. 1749 (2014) and Highmark Inc. v. Allcare Health Management System, Inc., 134 S.Ct.1744 (2014) that significantly reduced the burden on an alleged infringer to recover attorney fees from the patent owner, and increased the incidence of fees shifted to the losing party.” Fee shifting will increase risks for independent inventors and entrepreneurs seeking to assert their patents. These decisions make the fee shifting provisions of the Innovation Act particularly worrisome. Supreme Court cases that seek to limit patenting by subject matter are also problematic. In my study of the Supreme Court decision in Bilski v. Kappos published in The Journal of Legal Analysis, I address some of the critical subject matter questions raised by the Court. I provide an economic framework for analyzing the patentability of business method inventions. I argue that business method inventions are an important stimulus for entrepreneurship and a channel for the commercialization of scientific and technological inventions. Business method inventions represent key contributions including advances in communications, networking, computer science, software, and e-commerce that are the basis for what I term the ‘‘Business Revolution.” The Business Revolution involves advances in commercial transactions including Internet-based commerce that are improving productivity in retail and wholesale transactions. These advances are at least as important as advances in manufacturing that began during the Industrial Revolution and continue to improve productivity. Limiting patenting by subject matter poses threats to the future of the patent system and innovation. What road will we choose? Will we favor legislation that seeks to weaken the patent system or will we choose legislation that seeks to restore some of the strength of the patent system? As Robert Frost wrote, “Two roads diverged in a yellow wood.” We have indeed come to that fork in the road. Will we take the easy path that addresses today’s supposed crisis but harms innovation in the long run? Or will we take the harder path that will strengthen innovation, employment, and economic growth. The road we choose will “make all the difference” to future generations. Daniel Spulber is the Elinor Hobbs Distinguished Professor of International Business and Professor of Strategy at the Kellogg School of Management, Northwestern University and is the Research Director of the Searle Center on Law, Regulation, and Economic Growth, Northwestern University School of Law. But is the analogy an accurate one? Is it two roads forking off in slightly different directions? Or are we traversing along the edge of a sea cliff where one misstep takes us straight down into the abyss? Agreed. In searching for a picture for another article I stumbled across this picture (see above), which I think more accurately reflects the article. It isn’t just about picking a path. There is a path that is clearly better for the economy, for job growth and for innovation. That, of course, means it is better for everyone. I am a proverbial “little guy” coming from overseas with good undergrad engineering education and 50 bucks in my pocket, from lands where corruption is the way of life and where patents rights (or any other human rights for that matter) dont’ exist at all. They ripped me off and left me with nothing – my patent isn’t worth the paper it;s printed on.